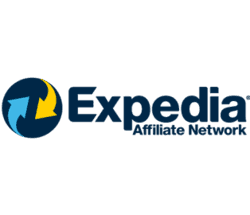 The Expedia Affiliate Network (EAN) provides affiliates with competitive rates and worldwide accommodations. The Expedia affiliate program grants access to more than 400,000+ properties throughout the world featuring 650k+ deals (including those for members-only). EAN features a robust, customizable API for dedicated affiliates. Or, easier-to-use options with your typical deep linking and white-label services for a targeted experience. Your foray with the Expedia Affiliate Network will predominantly point visitors to Hotels.com offers. Affiliates can expect a 5% base commission with higher incentives and commissions based on performance. Payments are sent via check or direct deposit monthly if the affiliate reaches $50. The powerful rating system – comprising over 19 million reviews – and trust makes this one of the best travel-related programs in its industry. Affiliates should expect little resistance promoting offers linked to the Expedia affiliate program. Expedia is a jewel of the travel industry featuring 80+ localized websites, 24/7 support, extensive listings globally, and added partner/account management. Yet, what makes Expedia a worthwhile promotion compared to others like Kayak, Priceline, and IHG? Let’s look at the pros and cons. Expedia greatly benefits from its brand recognition and placement in the travel industry. This allows Expedia to negotiate some of the best terms with properties ultimately passing deals to its customers. Pricing may be higher for certain bookings – which many will seek elsewhere – but this means higher earnings for the affiliate! The EAN platform is first-in-class with its customization or basic usage for affiliates wanting something quick and easy to promote. Overall, we think the Expedia affiliate program is a great fit for every travel or business site. Why? Because it offers the best bang-for-its-buck to customers with ample commissions for its affiliates. This is a program and service built to satisfy every visitor.